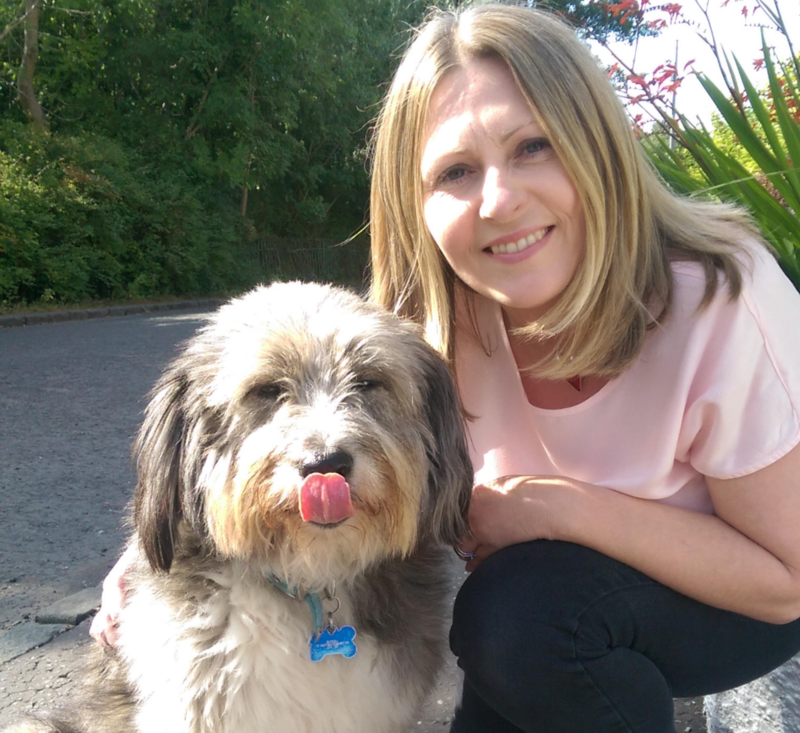 A working mum from Glasgow, who set up a charity that helps over 60’s find a rescue pet companion, has been named a Point of Light by Prime Minister David Cameron. Louise Russell, 40, stopped to chat with a neighbour one day and discovered just how lonely some single people can be, especially in later life. She was inspired to find a solution. An idea sparked when she paired the issue of loneliness with another prevalent issue – the rising number of animals in rescue shelters. And so ‘Give a Dog a Bone… and an animal a home’ was born. This unique charity helps individuals through loneliness and animals through homelessness. Louise, a Business Development Consultant and Life Coach, is the latest recipient of a Point of Light award, which recognises outstanding individual volunteers – people who are making a change in their community and inspiring others. Each day, someone, somewhere in the country is selected to receive the award to celebrate their remarkable achievements. Louise, founded the charity and manages it in her spare time on a completely voluntary basis. She acts as an intermediary between animal rescue facilities across the UK and people over 60 who are looking for pets and who need financial support. In less than two years since its inception, ‘Give a Dog a Bone… and an animal a home’ has helped over 70 animals, and their owners find a brighter future together. Louise learnt that animals can provide companionship and structure and can help fight loneliness. A single lady of 74, who has benefitted from the charity, described how adopting a 10 year old rescue dog brought routine and a sense of purpose to her day. Now she regularly takes her dog for walks making her healthier and happier and giving her the opportunity to talk to other pet owners. 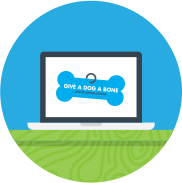 The ‘Give a Dog a Bone’ charity is funded completely by donations raised through raffles and sponsored events. The money is used to pay for rehoming fees and ongoing pet food costs, relieving the over 60s of some of the financial concerns associated with owning a pet. Louise is the 334th winner of the Points of Light award which has been developed in partnership with the hugely successful Points of Light programme in the USA and was first established by President George H. W. Bush. Over 5,000 US Points of Light have been awarded and both President George H. W. Bush and President Barack Obama have publicly supported the partnership with Points of Light UK which honours shining examples of volunteering across the country. “I’m humbled and overwhelmed, but also chuffed beyond words, to receive this award. As a lifelong supporter of charities it was always a dream of mine to become more involved in charitable work but, for a long time, I didn’t think it was possible. I put self imposed barriers in my way and it took me a long time to overcome them. The Points of Light awards recognise outstanding individual volunteers, people who are making a change in their community and inspiring others. The Prime Minister makes daily announcements of the winners to celebrate, encourage and promote volunteering and the value that it brings to the country. Groups and organisations that are demonstrating the Big Society in their work or activities will continue to be recognised by the Prime Minister through the Big Society awards. If people know someone who could be a Point of Light they should write to the Prime Minister at 10 Downing Street.